Beautiful card Wendy, so delicate. Hope you are feeling a little better. Wow Wendy this is beautiful, what a gorgeous flower and colour. Coming in from MIM and wanted to say I love your card. Hope you're feeling better soon. Hugs, Pat K.
beautiful! Thanks so much for playing along with us at TTT and out C&S challenge! good Luck and hope to see you soon! Hi Wendy this is gorgeous that flower looks so real the dimension is terrific, super creation. Ooooh, this is gorgeous! I love this flower. Gorgeous creation hun, love the dimension & layout! I love what you've done with this gorgeous flower. Making it the complete center focus is perfect. A very pretty layout and color choice as well. Make It Monday, Top Tip Tuesday and The Squirrel & The Fox. I love your card! Thanks so much for playing along at The Crafty Pad this week in our We're Girly Girls (Use Pink & Bling) Challenge! 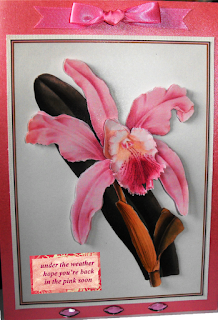 Lovely card - beautiful flower. Thanks for joining us over at Top Tip Tuesday for our CaS challenge and don't forget to share your Top Tips with us to be in the running for even more prizes! I saw your card on MIM. Very Very pretty, love the colors and the CAS. Very stunning. My card is #98 if your like to stop by. 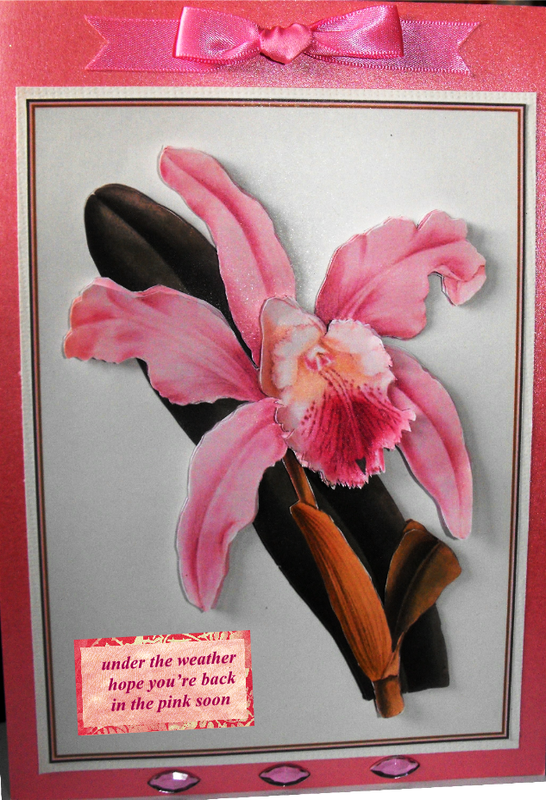 Thanks Wendy for sharing your lovely card with us this week at The Crafty Pad !! Such a beautiful, classy card, thanks so much for sharing with us at THE CRAFTY PAD this week. Stunning card Wendy! Saw it at MIM. Thanks for playing along with us at Top Tip Tuesday.